Division falling from the sky! 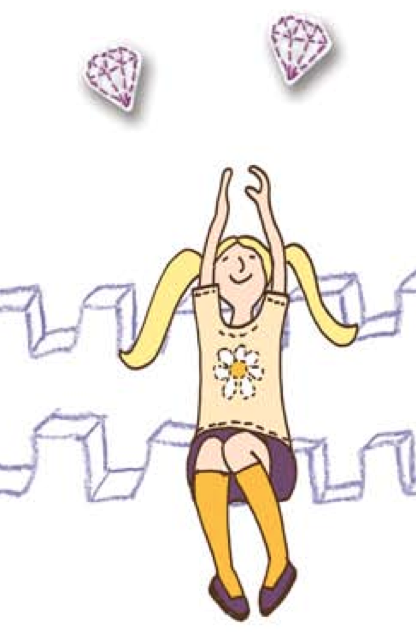 I love this little visual for division with jewels gently falling from the sky and people joyfully catching them. Of course, it is not as easy as it looks. To finish this page you have to know a few things. 1. You need to know that division is sharing EQUALLY. 2. You need to figure out how many jewels are falling and how many people are catching them. 3. You need to figure out if there will be a remainder. It is best to do this first before circling the jewels. 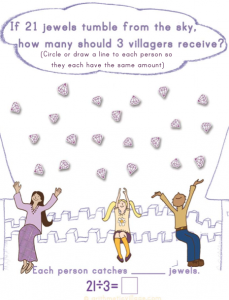 Alternatively, the child may simply take turns drawing a line from each jewel to each character until they are distributed evenly. Enjoy!